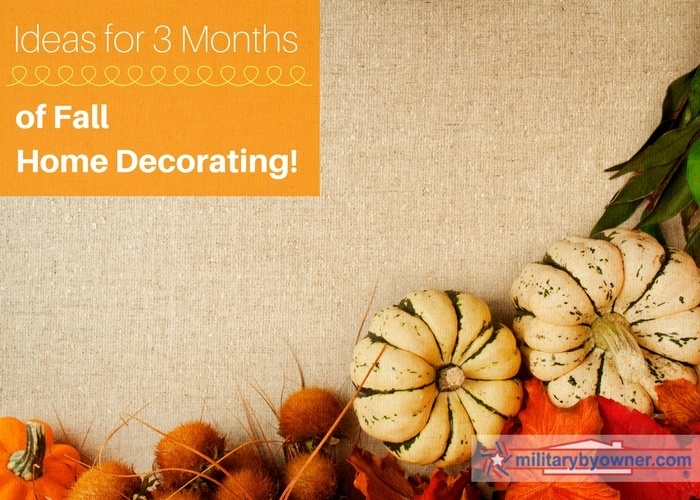 3 Months of Fall Home Decor Made Easy! Fall home decorating is now what Halloween decorating became after the explosion of trendy Christmas decorating years ago. As it is an official season, loosely September through November, fall is an opportunity to try on and try out many combinations of seasonal looks, particularly for your mantel and over your fireplace. 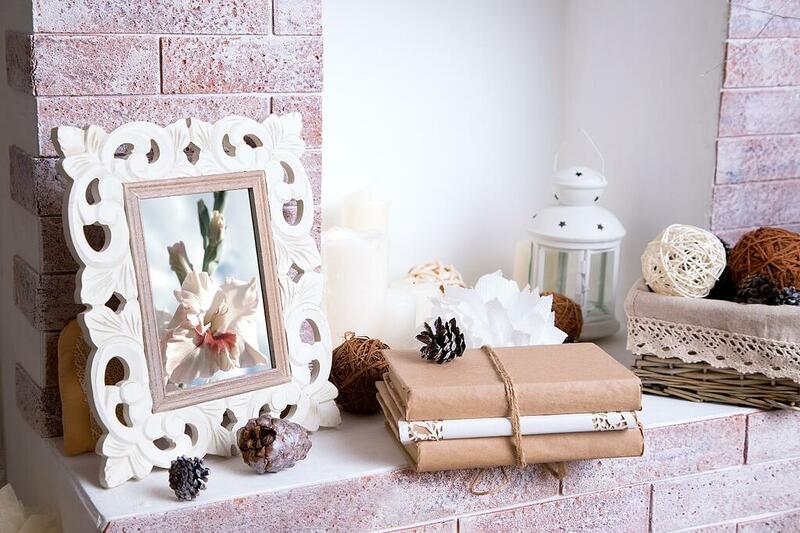 Traditionally, mantelpieces tend to be the center, or eye focus of a room, offering the family and guests a great visual for festive occasions. Even if your home doesn’t have a mantel, the same concept holds true. Use the focal point of the room, whether it's a set of towering bookshelves or built in entertainment center, to display beautiful and eye-catching treasures. Use this three-month guide to garner inspiration and build a fun, inexpensive, and magazine photo worthy seasonal display. You’ll get more for your money if you set up early September and update right through November! At the beginning of this month, it's time to get the basics in order: Collect wreaths, natural fiber items like burlap, baskets, and twine or ribbon. Pull out objects that may have been packed away or not normally used during the rest of the year to see if they can inject a unique appeal. Special vases, display pieces (a cake plate makes an excellent riser), and silver servingware are good places to start. These will be “anchor items” to lock down or add substance to the mantel. A colorful garland of wired leaves and berries is a good option to tie each piece together. Fall should be beginning to show with acorns and leaves dropping each day. Enlist the kids to help fill inexpensive Mason jars or clear vases with acorns or brightly colored leaves. Neatly tied twigs with a dusting of fine bronze or gold glitter adds sparkle to clear lights woven through the garland. Fall doesn’t just mean red, orange, and yellow. Pump up the glam and sophistication with mercury glass or other shiny items. Military spouse Heather showcases fantastic mantel options at Setting for Four. HALLOWEEN! 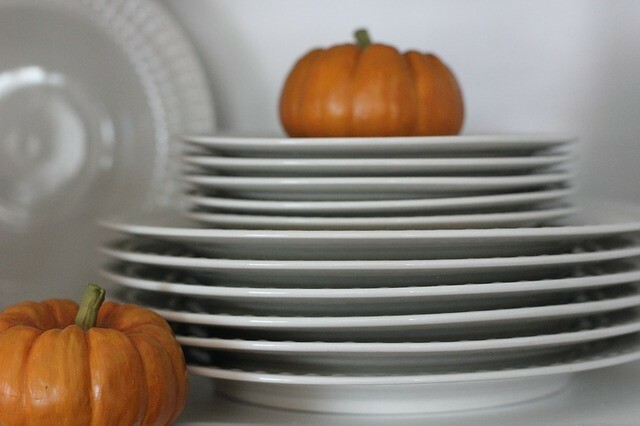 This is how fall decorating began! The glorious night filled with monsters and candy is the commercial highlight of the season. Early in the month, it’s time to fill in or rearrange the traditional fall items to incorporate pumpkins, black cats and ravens, witchy pieces, and anything else that welcomes Halloween in your home. Beware of the neighborhood “BOO!” game, however! String together cut-out construction paper orange pumpkins the kids have made for a banner reaching one end of the mantel to the other. 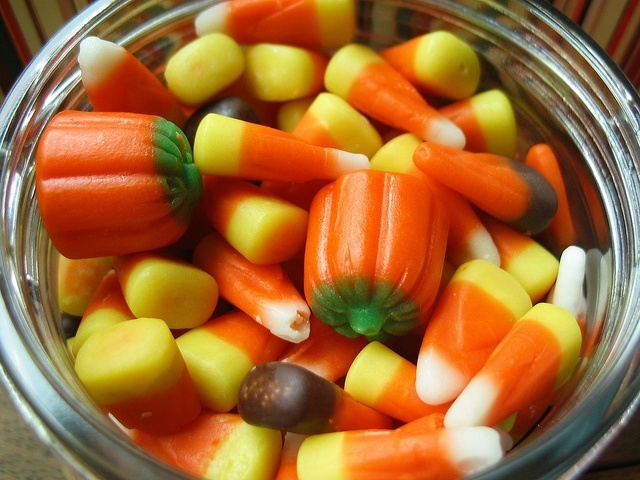 Fill tall glass containers with colorful candy corns, pumpkins, or other favorite candy. It’s easy to get ready for Thanksgiving Day. Pack up the bats and spiders; it’s time for turkeys! 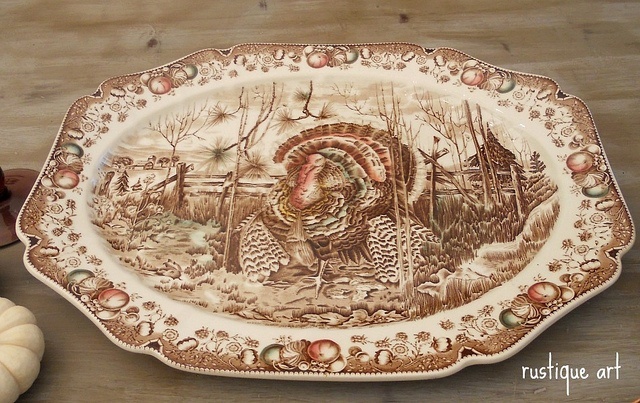 An instant update is to use a painted turkey serving platter as the center of attention for your mantel. Using a plate stand to showcase it upright, the platter becomes extra festive when flanked by paper or straw turkeys in fall colors. Do you have any of the “painted hand print turkeys” from elementary school days past? Frame them up for a nostalgic touch. Grocery stores, especially Trader Joes, are full of seasonal gourds, squashes, and fall flowers. Add them to glass fruit bowls to showcase a bounty worthy of celebration. Indian corn is also an easy and cheap way to fill in any holes the Halloween decorations may have left behind. The best part of these types of arrangements is that they continue to grow and change to accommodate new additions like a great autumn collage the kids bring home or a luxurious spice candle picked up on the cheap. Fall kicks off seasonal decor so stay connected to MBO for more decorating blogs and resource entries to liven up your current decorating themes.